Hello dear friends and fans, this is Steve Sadiq from Sadiq Apple solutions. Since last week I have been reading your questions and thinking about what to cover in this article and found that many people were facing the issue “iPhone Stuck on Black Screen with Spinning Wheel”. I have been using Apple devices since ages I guess, but rarely I have come across this issue. This is highly frustrating and irritating especially when you have a sophisticated device like Apple iPhone and you get an error Apple iPhone spinning wheel of death. Just imagine, you have an iPhone and you have spent a huge amount in getting it and while you are using it you see, “iPhone spinning wheel“. The issue has got sever after the iOS 10. After discussion with iPhone freaks and iPhone experts and reading different authentic blogs with this issue, I have come to know that the issue arose when people upgraded their phones to iOS 10. The different models involved in it that got affected were iPhone 7, 7plus, 6s and other such variants. Majority of the Apple users got affected by the update. But the most strange thing that was really quite disturbing with me, “iPhone 8 spinning wheel”. Well, this was quite something kind of confusing. We can assume from here that, either Apple update on iPhone 8 was the major cause of the issue or the error was due to the hardware change in iPhone 8. This hardware change in this special model might have caused the issue. iPhone X launch had a parallel launch with iPhone 8 and iPhone 8 plus. When we search on Google, we don’t find any clue related to the spinning wheel in iPhone X. Rather, on google you would be amazed to know that, 500+ people search every month for the issue related to iPhone 8 spinning wheel. Well u don’t need to worry at all. Either it is any model of iPhone. If you are facing the issue of iPhone spinning wheel of death, just follow the instructions. The same solution will work for you. What basically happens. When you are using your phone you get the black screen and a spinning wheel in the middle of the black screen. Just have a look at the image. Having this black screen issue makes your phone stop working. 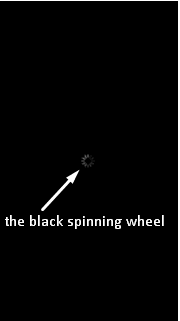 iPhone gets hang for 10-15 mins and this black spinning wheel keeps on rotating. Would you believe? This issue doesn’t end here, it keeps on repeating might be every hour. This article is about iPhone spinning wheel of death fix. Apple devices are popular for their smoothness, performance, security. That what attracts user so much and that’s what Apple makes the brand worth it. But imagine the user experience when people are getting the issue of Apple iPhone spinning wheel. You must be having this question in your mind that, what actually cause or what are the reasons that cause this issue and how to resolve the spinning wheel issue of iPhone. Well, let’s have a look at the possible causes of iPhone Stuck on Black Screen. After long discussions and multiple experiments and discussing with my fellow bloggers at blogging seminar I have found that this is not such a thing which we were thinking. Apple like history never disappointed its users and after careful research work, I have come to know that there is no specific reason that cause, iPhone stuck on black screen with spinning wheel issue. All this happened as a result of a bug that came with the iOS 10 update. 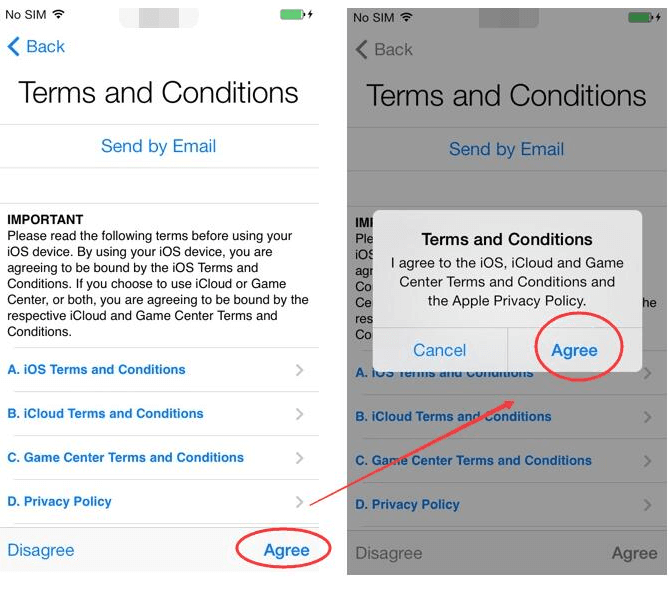 In a survey conducted by a group of fellows, we have got 70-80 percent people who claimed that the issue started after they have upgraded their phone to new iOS10 Apple Update. 20-30 percent of people have the view that, this issue is not due to the bug, rather it is caused by the problematic log files. Few people in the survey have the point of view that the Spinning Wheel error in iPhone is due to the virus. That virus corrupts the database of iPhone. When the database gets corrupt, the phone hangs for 10-15 seconds and then works fine but the spinning wheel keeps on disturbing at regular interval. But don’t worry. Steve Sadiq is here to provide you the solution that will fix the issue of iPhone Spinning Wheel. It is not important for you to know the cause of it. Good thing is that we have the solution for you, no matter whatever the cause is for iPhone spinning wheel. I am going to share with you the step by step guide, you just need to follow the guide and apply the fix on your iPhone and I am sure that, this will solve the problem for you. Let’s have a look at these methods in details. Do you remember my article regarding recovery mode? If you are following my articles regularly I have shared with you an article regarding how to run recovery mode in iPhone. Anyways let me reshare with you, how to boot iPhone in recovery mode and fix the issue of iPhone spinning wheel black screen. The spinning wheel issue usually hangs your device for 10-15 mins. As the phone comes in working state, and recover from the black screen mode. If you can’t wait. Just force start your iPhone. For force start, press and hold the power and volume down button for at least 3-5 seconds till the apple logo appears on the screen. Just have a look at the pic below. Backup your data. This is very important. I would strongly recommend you to back up your iPhone on iClouds and also take a backup using iTunes. iPhone will take some time, this depends upon your data. After some time, your device data will store to iCloud. Install iTunes to your laptop/PC. Run iTunes on your PC and then connect your iPhone to your PC. It will automatically sync to the iPhone. Restart your device using the method described above. 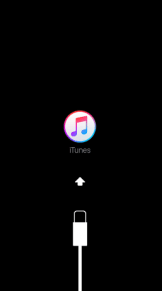 Now you are connected to iTunes and iPhone is in recovery mode. press and keep on holding until phone restarts in recovery mode. You will see an alert message asking you to click on Restore or Update. Click on Update and wait patiently. iTunes will update your device then. You have successfully solved the problem for once and for all. You can continue using your iPhone without encountering crashes now. One important solution that will most probably solve the problem is to reset the iPhone. You should also have to try that as well. The details of the methods are provided in the link. 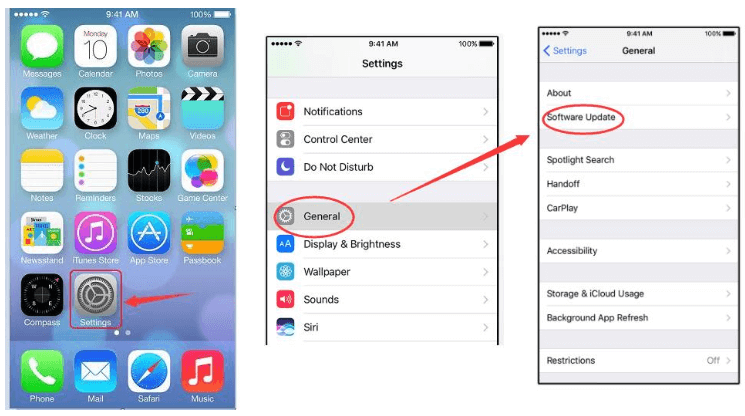 Step-1: Open your iPhone and go to Settings. Now go to General and then go to Software Update. Step-2: Now tap on Download and Install. If it asks your password, enter it. Step-3: Finally, tap on Agree and then the downloading will start. Wait patiently till the process is complete. Done. This might have solved all the problems and errors arising in your device. 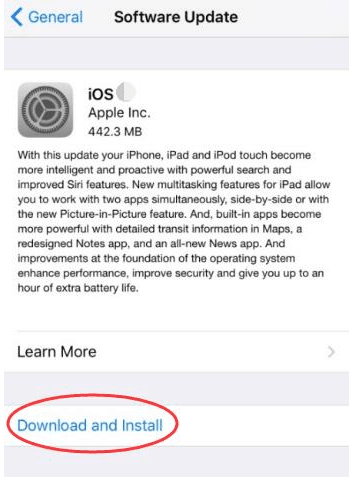 If there was no update available for your iPhone and it was already updated, move down to the next method. Step-1: Firstly, make sure that your phone is not plugged into a socket or a computer. Now press & hold down the Power button and the Volume Down button simultaneously. This should turn off the device immediately. 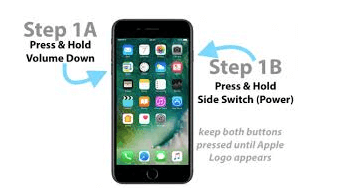 Step-2: After the screen has turned off, connect your iPhone to a computer. Your device will automatically turn on then. Also, it will start working properly. If this solved your problem, you can stop reading right here. However, if the problem still persists, continue with the second part of this method. Step-3: Firstly, go to www.icloud.com and then click on Find iPhone. Since the power of your device is off, it won’t be able to locate it. Step-4: Now click on Devices present on the upper bar and then click on your iPhone. Step-5: Click on “Remove your Account” and then go to your iTunes. Afterward, perform a Restore. Done. This might have solved your problem as it did for a lot of other Apple users. You can now continue using your device without facing the Black Screen issue. However, if you are still in trouble, scroll down to another method. Well, I fully hope that, when you have followed the methods shared with you very carefully and like the same way as discussed with you, your issue of Spinning Wheel Apple will definitely be resolved. One of the most irritating issues observed is “iPhone stuck on black screen with spinning wheel”. Many people think that this is the issue that is caused by the iOS 10 update. A bug came with the update and that bug causes the iPhone to stuck and that shows the black screen with a spinning wheel. Well, there may be multiple reasons for that. But it is better to read the instructions carefully. Many people ask me questions like. Question: What is a rotating circle on my iPhone. Answer: Well, the answer to this question is that the black screen with a rotating circle is called the Spinning Wheel of Death. You can see this in multiple other phones, but when the iPhone user experience the spinning wheel, this is the iPhone Spinning Wheel. Question: How do I fix the spinning wheel on my iPhone. Answer: Well, to solve the issue of iPhone spinning wheel or Spinning wheel of death, I have shared 3 methods. Please read the entire article carefully. Question: What do you do when your iPhone is stuck on the spinning wheel? Answer: Apply the 3 solutions. Few people say that it is due to the virus, while others believe that there is some other cause of it. I have shared with you 3 methods to resolve this issue. The Step by Step guide to each method is shared with you guys. What you need to do is carefully follow the steps. I always recommend that safety is always 1st. Never compromise on safety. Always backup your device before performing any such activity which may have risk of data loss. 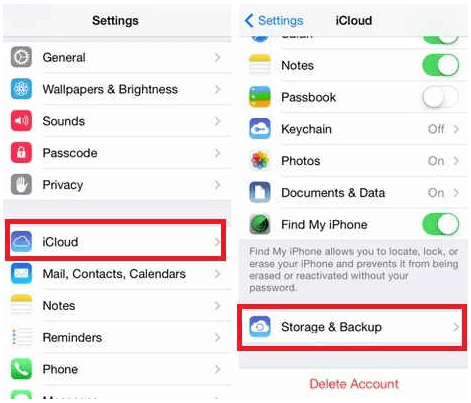 I have shared the methods of how to backup data on iCloud and iTunes. Once you carefully check that your data is safe, you are good to go. Step by Step guide is provided. If you carefully follow the steps, it is quite easy for you to solve the issue. If you have any questions, don’t forget to let me know in the comments section. Do share the feedback with me, how much useful this article was for you. This is Steve Sadiq signing off for today.